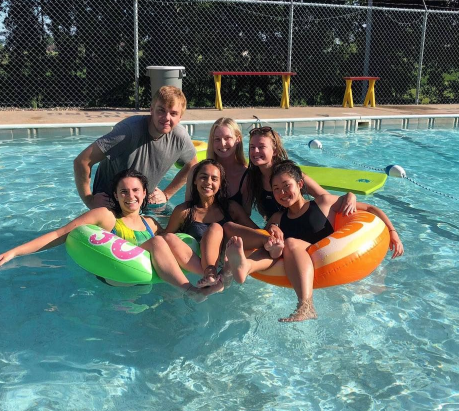 We caught up with Kate Fox who spent last summer as a Camp Counsellor at a Special Needs Summer Camp in the U.S. Her story is guaranteed to melt your heart. From the moment I applied for USIT’s Camp USA programme, I knew I was going to have an unforgettable experience. 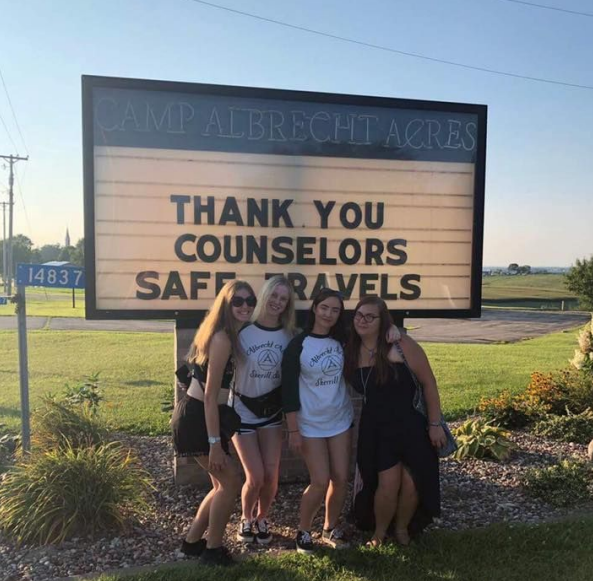 Little did I know, my summer at Camp Albrecht Acres would give me new lifelong friends, unforgettable memories and transform my outlook on life. Applying for Camp USA was a decision I made on a whim. I had my eye on the programme for a number of weeks, until I finally said ‘Why not?’ I paid my deposit and sent in my application. 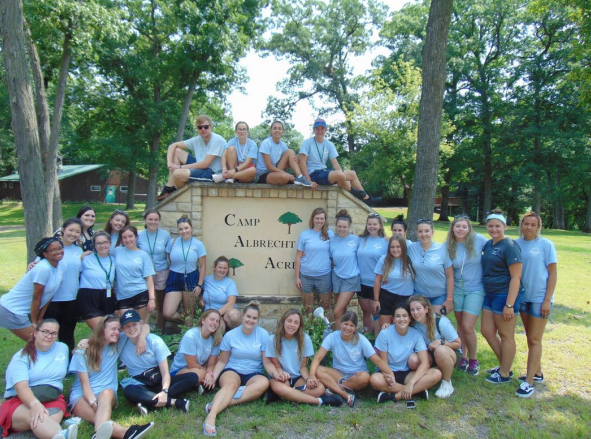 When I got my first email from Albrecht Acres saying they wanted to interview me, I was initially nervous hearing it was a special needs camp, as I had no previous experience working with the special needs children. After giving it some thinking, I agreed to do the interview and soon enough, I was hired as a Camp Counselor! Being a city girl, driving down the country roads of rural Iowa was most definitely a change of scenery. 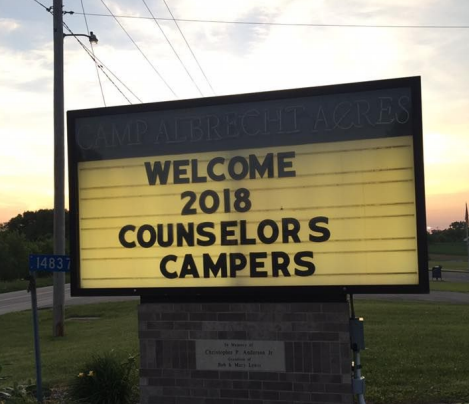 When I first arrived at Camp Albrecht Acres, I was greeted by my fellow counsellors and full-time staff. I became good friends with the other counsellors initially and we all quickly became a big family. Our first week at camp was spent training in all needs of special needs care. In the evenings, all the counsellors were taken out for team bonding trips such as bowling and a team barbeque. After a week of training, the first set of campers arrived and the adventure began. Being a camp counsellor is definitely not a typical 9-5 job. You’re pretty much on duty from the minute you wake up until your campers go to bed. It can be tiring sometimes, but you’re having so much fun with the people around you that it doesn’t even feel like work! The campers participated in a wide range of activities such as swimming, fishing, nature & science, arts & crafts, fun & games etc. The camp is divided into four nations: Sioux, Mohican, Kickapoo and Cheyenne. All four nations would come together in the evening for the evening activity. I particularly loved the evening activities, as it was great seeing all the nations bonding. Evening activities included movie night, awards night, visitors from the community and my all-time favourite event – the dance! The dance was always on the night before campers went home. 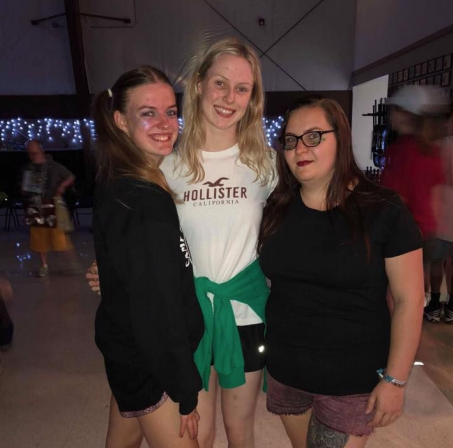 It got emotional sometimes, but they loved getting the chance to dress up and dance the night away! One of the most rewarding parts of my whole camp experience was seeing the joy on my campers faces. I developed a great bond with each and every one of my campers. They look forward to going to camp all year and I’m so glad me and my fellow counsellors helped make their experience a memorable one. Saying goodbye to my campers every Friday was never easy, but I did promise them I would be back soon! One of the best things about camp is the friendships you make. After a few weeks, it felt like I had known these people for years. Our team quickly became a family. One of my favourite memories from the summer is spending time with my friends on our time off. Whether it was late night Walmart trips, heading to the cinema, getting breakfast at IHOP, playing hide and seek in the dark, we always had a great laugh and we got a great glimpse into American life. I can not thank this wonderful place enough for the experience I had. I was so lucky to spend the summer with some of the most incredible people I’ve ever met. Working with the special needs population taught me some valuable life lessons which I’ll always value. I’m planning on returning to my second home very soon!